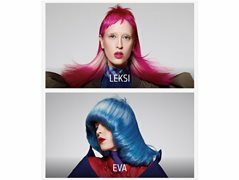 Seeking hair models for an international colour photographic competition. Models will have their hair cut & coloured by a hairstylist to be judged nationally. National top 10 winners will get the opportunity to travel to Vienna in September to recreate the look in a live competition. All flights and accommodation costs will be covered if we are in the the national top 10. Preferably medium/short hair in fairly good condition, with a finer, straighter texture.